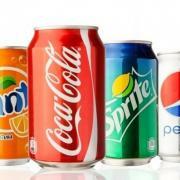 @elixirdrinksforevents We supply soft drinks for events. Our full package includes ice blocks, drums and coolers for icing, lime or lemon for fitfams and of course our beautiful corporate servers. You don't have to worry about distribution arrangement, we've got you covered. Got an event? Get in touch with Elixir Drinks.